Frightful Fall Read-a-Thon! | Got How? Our pals over at Castle Macabre are hosting their Frightful Fall Read-a-Thon this week, which means I have to read some more books! 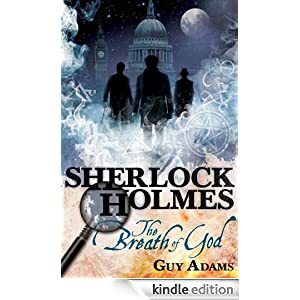 Then I’ve got Guy Adams’ Holmesian tale The Breath of God on tap. This one sees Holmes and Watson seeking the aid of none other than Thomas Carnacki Aleister Crowley. “As London fills up with mindless zombies, possessed by the spirits in the air, Holmes must descend beneath the city via the new underground train network to combat the source. Welcome, Axel! Glad you’re joining us this week. Looks like you have some good books lined up. Hope you enjoy them!